Today has seen it's fair share of dark clouds, but we did not see any rain. Hooray! Sure, it's gotta rain sometime in the "rainy season", but today was not that day. 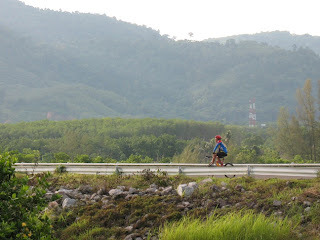 Late in the afternoon we headed to Bang Wad reservoir, Phuket's largest water supply, just a few minutes from our house. We like to take walks along the dam, or take a mat and have a little picnic by the reservoir. 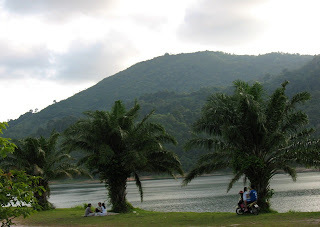 See more on Jamie's Phuket : Bang Wad Reservoir and Dam.